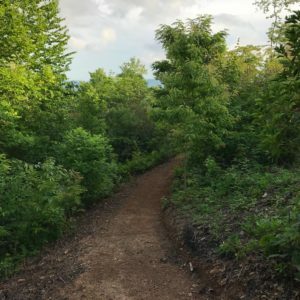 Wildberry Lodge Is Bringing The Hikes To You! Check Out Our Newest And Most Exciting Development. We have some very exciting changes developing here at the Wildberry Lodge for the year 2019. We recognize that the vast majority of our guests are drawn to our mountainside log cabin because they are drawn to and appreciate the beauty of nature. Many of you c to stay with us and like to go hiking, horseback riding, zip-ling and white water rafting. We are very proud to announce that we are bringing some of that adventure to you right here at the Wildberry Lodge. We are teaming up with the extremely talented and dedicated Long Cane Trails to build professional trails along the mountainside. 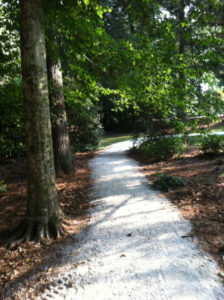 This quarter year we are working on 1 1/2 miles of hiking trails that will be a walking trail and have an access trail. We plan to have up to 4 miles of trail for you to explore as time moves forward. and excel in trail planning, design, construction and maintenance. They are available to government, non-profit and private entities. Even though they are a Carolina based company they have an impressive spread of projects they have spearheaded all over including North and South Carolina, Georgia, Tennessee, Maryland, Oregon and even Guatemala and Puerto Rico! Stay tuned with us as our own adventure begins building these beautiful hiking trails for you all to enjoy! We will keep you up to date with fun before and after pictures and all the funny stories that come along with all the hard work of such an impressive endeavor! Included in this blog post are just a sample of some of the amazing work that Long Cane Trails have created! 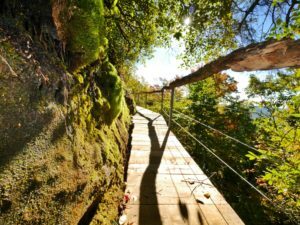 This entry was posted in Garden and Landscape, Hikes, Sites, Nature, Wildberry Hiking Trail, Wildberry Lodge Updates and tagged Asheville, community, hiking, Nature, Outdoors, Wildberry Lodge by admin. Bookmark the permalink.